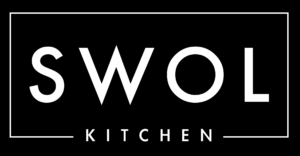 SWOL Kitchen delivers high-quality, freshly made, hand-crafted gourmet meals for meal prep. We believe that meal prep doesn’t have to be boring. You don’t need to feel deprived just because you’re on a meal plan. Our kitchen blends delicious flavors, while maintaining balanced macros in every meal. Healthy Greek brings his love of cooking for his family and friends, to meal prepping. George has been meal prepping with MelinaFitness for years and has found that the secret to being able to easily live a healthy lifestyle is to follow a delicious plan that’s easy to follow. By crossing his culinary talents over to meal prep, George is able to bring delicious and exciting flavors to ordinarily boring meals. You never have to eat boring meal prep meals again! Melina has been a leader in the sports and fitness industry for over 15 years. She is a certified sports nutritionist and has been developing meal plans for clients for over a decade. Each meal is developed with her guidance, ensuring the proper balance of proteins, carbs and fats and essential nutrients. Whether your goal is weight loss, bulking, shredding, or simply living a healthy lifestyle, Melina’s nutritional planning will guide your way.